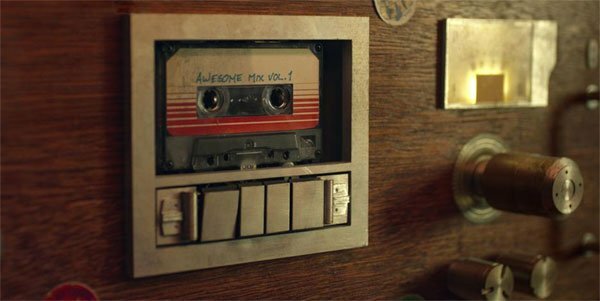 When it comes to nit-picking Guardians of the Galaxy, one of the most commonly repeated points is that Star-Lord's cassette and Walkman would either have not survived the rough-and-tumble 26 years that he has spent in space, or would have simply run out of juice years ago. It turns out that director James Gunn is kind of tired of people bringing this up, and believes that the answer to people's nit-pick is actually quite obvious. GUYS, THEY HAVE THE ALIEN TECHNOLOGY TO TRAVEL FASTER THAN LIGHT BETWEEN PLANETS, I think they can figure out an alternative power source for the Walkman, and they likely also have technology to slow the degradation to the tape and player. This seems obvious to me. This is basically in line with the same conclusions we drew about this supposed Guardians of the Galaxy plot hole back when people started talking about it this past summer. And while Gunn doesn't actually mention it in his post, it's pretty obvious that advanced alien technology and know-how explains how Star-Lord was able to hard-wire a space-made cassette deck into the Milano. Why is it so hard to believe that the Ravagers could just reverse engineer the device hanging on Peter's hip? It's actually somewhat funny that James Gunn would use today to explain this in a post. After all, today is the same day that Cinema Sins chose to release their 15-minute long video exploring every flaw in Guardians of the Galaxy. There is a long segment within the first few minutes of the piece that echos all of the questions that Gunn has been getting about the Walkman and cassette these past few months, and it's funny to imagine that this was the tipping point that forced the filmmaker to finally officially address what is going on there. Even if it is really, really, really obvious.